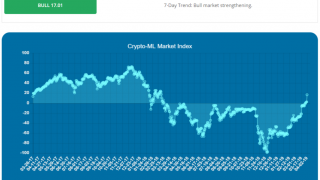 Crypto-ML uses machine learning to provide a potent tool to crypto swing traders. But regardless of the tools in your belt, we all need to prepare for some wild price swings ahead. Of course, those of us trading Bitcoin and other cryptocurrencies are likely doing so in order to capitalize on this extreme volatility. But volatility is a double-edged sword. 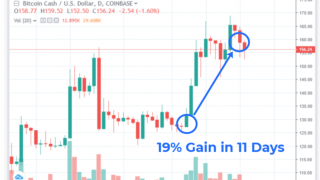 In an unusual occurrence, Crypto-ML has closed its last two Bitcoin trades for losses. While unusual, it highlights the risk involved. Let’s take a look at what lies ahead. 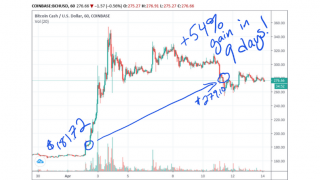 What we have seen in the last two trades is a building of momentum at a recurring Bitcoin price point of around $6,000 USD. After a short price run, we faced sharp and fast selloffs, continuing to set new near-term lows. These swift drops are difficult for any system (including stop losses) to handle. 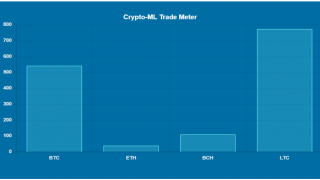 Interestingly, Crypto-ML diverges from buy-and-hold most heavily on the downtrends. 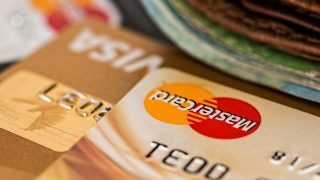 The protection of money has been its best strength. As traders, we need to be aware of the risk and be prepared for losing trades in the pursuit of catching the next major wave up. After all, just like drops can happen suddenly, so can the rises. Major publications have hammered Bitcoin and other cryptocurrencies, some with sensational pieces, but others with legitimate criticism. Regardless, with the ongoing market trend and critical media, the general public (and broader money base) will continue to be wary of Bitcoin. Forbes: Where Will Bitcoin Bottom Out? But is negative news actually bad? One thing our broad investing background has shown again and again–regardless of asset class–fear is one of the best “buy” signals available. Despite the negative news, there are still many practical applications for blockchain technology and continued enterprise and government investment in blockchain technology. We also saw interesting behavior yesterday, with the issuance of 250,000,000 new Tethers. Regardless of the controversy or utility of Tethers, our research has in fact identified a correlation between Tether issuance and Bitcoin price support. These reports come from multiple sources, all calling current price behavior a natural correction to the massive moves up in 2017/2018. They independently predict Bitcoin price to rally above $10,000 by year-end. These analysts include Todd Gordon (founder of TradingAnalysis.com), Trefis (stock analytics firm), and Spencer Bogart (Wall Street Analyst on CNBC’s Fast Money), and Brian Kelly (CEO of BKCM LLC, an equity investment firm). 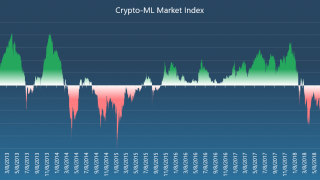 To avoid missing out on what may lie ahead, our money is with Crypto-ML. But regardless of your perspective and sentiment, we should all brace ourselves for fast swings. And most of all, ensure we trade responsibly. Where do you think price is headed this year? Agreed. This seems to be the case.